Image credits (left to right): Lvova, Ahmed Al Badawy, Michele Ahin. Welcome to Intertwined Worlds. Intertwined Worlds is the first ever academic platform to bring you state-of the art, peer-reviewed, scholarly papers in the field of Muslim-Jewish relations. Intertwined Worlds is published under the auspices of Wiley-Blackwell’s Religion Compass, a leading online academic journal and in collaboration with the Woolf Institute, a world-renowned academic centre at the forefront of the academic study of interfaith relations. The Woolf Institute has been at the forefront of the academic study of interfaith relations since its founding in 1998. While dealing with Islam and Judaism centrally, other traditions such as Christianity will be recurrent, peripheral concerns. Intertwined Worlds takes its name from a book published by the late scholar Hava Lazarus-Yafeh by the same name. However, it derives its inspiration from the broader field of interfaith relations and Muslim-Jewish relations in particular. During the modern era the Palestinian-Israeli conflict has dictated the way the academy and the public understand the historical encounter between Jews and Muslims. Much of the modern writing has created an unhelpful discourse which can do nothing but undermine Muslim-Jewish relations. Intertwined Worlds seeks to address this situation by creating a permanent outlet for such reasoned academic discourse, including the study of controversial themes and issues. To make accessible authoritative articles on a wide variety of topics within the study of Muslim-Jewish relations to a broad audience, including advanced undergraduate and postgraduate students, faculty, and members of the general public. To engage in discussions of timely issues within the field of Muslim-Jewish relations. To explore the civilizational context of Muslim-Jewish relations. To broaden the knowledge of university students, scholars and the general public. To facilitate exchange, interchange, research and cooperation among scholars in Muslim-Jewish relations internationally. We welcome contributions from various fields including history, religious studies, anthropology, philosophy, Islamic studies, and Judaic studies. 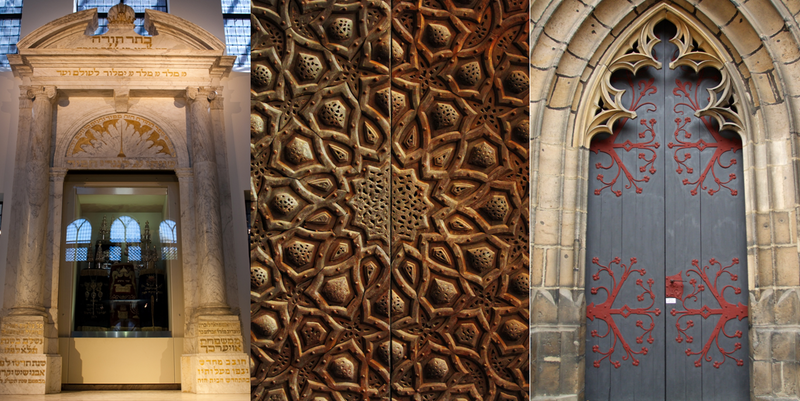 We especially welcome interdisciplinary contributions that explore the interaction of Muslim and Jewish ideas, traditions, cultures and rituals. We hope to soon include reviews of books and multimedia relevant to the study of Muslim-Jewish relations prominently on the web page of Intertwined Worlds. Please check back soon, or read the profiles of our eminent advisory panel.